AUGUSTA, Maine — Gov. Paul LePage’s $6.8 billion, two-year state budget proposal, released Friday night, would reduce Maine’s state employee workforce by about 500 and shift Maine to a flat income tax by 2020. The budget proposal for the 2018 and 2019 fiscal years was released on Friday with little fanfare. The LePage administration posted it to a state website just over an hour and half before it was due to the Maine Legislature. — Reducing Maine’s top individual income tax rate from 10.15 percent to a flat rate of 5.75 percent and cutting the top corporate income tax rate from 8.93 percent to 8.33 percent. The budget also proposes to eliminate the estate tax for people dying after the beginning of 2018. LePage also proposes increasing the lodging sales tax rate from 9 percent to 10 percent. — Cutting about 500 state employee positions and launching a “vacancy study” to further reduce the size of the workforce. — Delaying for one year the implementation of Question 2 on November 2016’s statewide ballot, which placed a 3 percent surtax on annual income over $200,000 to fund education. — Broadening Maine’s sales tax to include admission to amusement parks, concerts, theaters, household services including housekeeping, snow removal and lawn care, and personal services including barber shops and salons. — Reducing time limits in the Temporary Assistance for Needy Families program from five years to three years and eliminating MaineCare eligibility for able-bodied parents MaineCare with earnings over 40 percent of the federal poverty level. — Imposing a statutory limit on state spending growth. — Providing additional funding to reduce social service waitlists and fully fund Maine’s indigent legal defense system. — Depositing $40 million in Maine’s Budget Stabilization Fund, also known as the rainy day fund, which already has a balance of about $123 million. — Allowing municipalities to collect service charges from large tax-exempt entities such as nonprofit organizations and requiring land trusts to contribute to their host communities. — Repealing and replacing the current Essential Programs and Services school funding formula by 2019. — Creating a statewide teacher contract. The Republican governor teased parts of his budget in radio interviews and public appearances during much of 2016, saying it would call for income tax cuts and education reform.The document posted Friday night follows through with more details, although it still must survive legislative scrutiny. 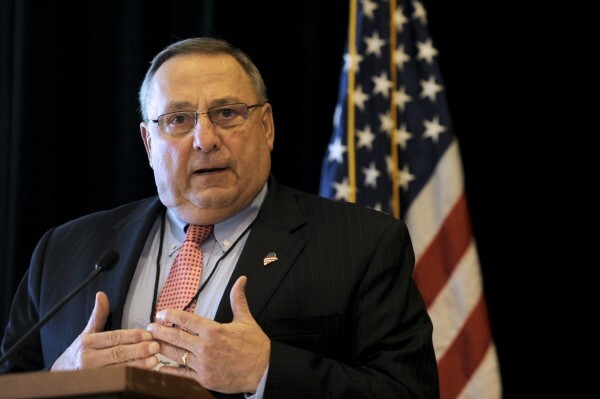 LePage’s fourth and final biennial budget proposal was always expected to affect the state workforce: An administration memo leaked in July to the Portland Press Herald said he wanted to cut the state workforce by 2,300. That didn’t materialize, but the Maine State Employees Association said Friday that 26 workers in the Maine Office of Aging and Disability Services got notices from the administration declaring its intent to lay them off. The Legislature has passed the last two biennial budgets in 2013 and 2015 over LePage’s veto. It could happen again with Republicans and Democrats holding narrow majorities in the Senate and House, respectively. In order to take effect on July 1, when the current spending plan expires, budgets must pass by two-thirds majorities in both chambers. The Legislature’s budget-writing committee will begin hearings on the proposal later this month. LePage’s release of the budget broke protocol from previous years, when he and his finance staff briefed reporters and lawmakers. Legislative leaders said Friday they expect to get chances to ask questions next week. “My budget sends a message that we are cutting taxes, we welcome professionals and small businesses and we want working people to keep more of what they have earned,” the governor wrote in his budget briefing. LePage’s budget will frame Maine’s policy debates from now until spring. Two years ago, he held town hall meetings across the state to push that proposal and used them as a cudgel against the Legislature when it was clear that a very different budget would be passed. Those meetings continued into 2016, and LePage has said he’ll resume them soon as he has seemed resigned to disapproval from the Legislature in recent weeks. Correction: An earlier version of this report incorrectly stated that Gov. Paul LePage’s two-year budget proposal calls for depositing $55 million in Maine’s Budget Stabilization Fund. The proposal would deposit $40 million in that account.